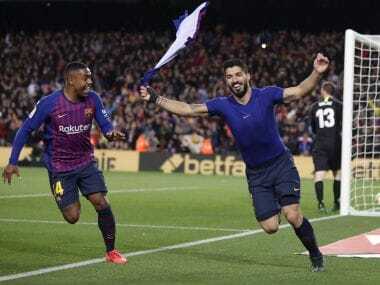 Madrid: Barcelona held off Atletico Madrid to ensure they will be three points clear at the top of La Liga going into the winter break after beating a spirited Celta Vigo 2-0 at the Camp Nou on Saturday. 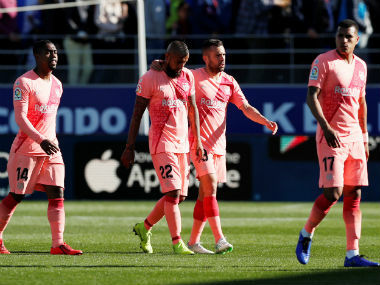 First-half goals from Ousmane Dembele and Lionel Messi were enough to move Ernesto Valverde's side up to 37 points and keep them one step ahead of Atletico, who earlier drew level with Barcelona with a 1-0 win over Espanyol thanks to an Antoine Griezmann penalty. "In the first half we got behind their defence well, we saw that with any play, playing with the space (left behind) we could score," said Valverde. 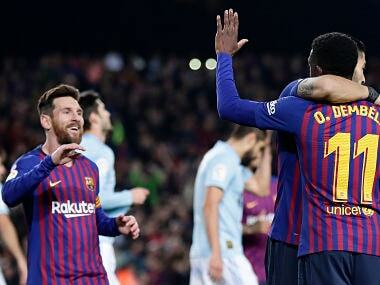 Dembele put the hosts into the lead after just nine minutes when he lashed home on the rebound after Messi's first-time shot was pushed into his path by Celta keeper Ruben Blanco. Messi doubled his side's advantage just before half-time, bursting through completely unmarked to meet excellent Jordi Alba's through ball and wrong-foot Blanco as he slotted in his 15th league goal of the season. The Argentine and Alba linked up nicely throughout, with the left-back providing the pass for the Messi shot that led to Dembele's opener. "They (Messi and Alba) are a duo that have been working together for some time, they understand each other perfectly," added Valverde. "Let's hope they carry on working well." 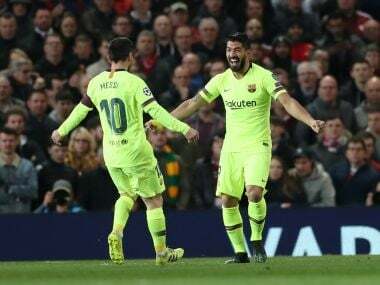 Luis Suarez missed a great opportunity to put the result beyond any doubt on the hour mark when he flashed wide after being found by Alba with another fine pass, but despite frequently testing Barcelona keeper Marc-Andre ter Stegen, Celta could not find the goal that would have put the Catalans under real pressure. Earlier, Griezmann smashed home from the spot 10 minutes after the break to give Diego Simeone's side three points from a hard-fought match with mid-table Espanyol that extended Atletico's unbeaten league run to 14 matches. "It was important to win regardless of how we did it," said Atletico captain Diego Godin. "We go into the (two-week) winter break happy with the three points." The 27-year-old Griezmann, who missed out on a Ballon d'Or despite winning the Europa League with Atletico last season and the World Cup with France in the summer, is on a fine run of form after having saved his side with a late winner at Real Valladolid last week. His winner on Saturday was his fourth in three games after bagging a brace last week and scoring in Atletico's 3-0 hammering of Alaves a fortnight ago. 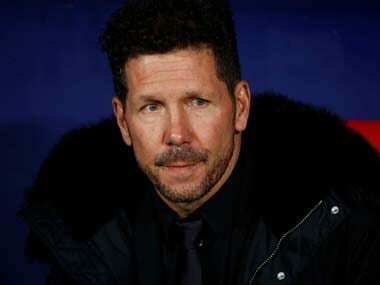 "Antoine is an excellent goalscorer," added Godin. "He works for the team brilliantly and helps with his goals." Sevilla can join Atletico on 34 points with a win at struggling Leganes on Sunday.